Wondering about climate and weather in Belgrade? Before you pack your bags, read this post. One of the essential elements to consider before traveling to any part of the world is the climate that is present in the place you want to visit. Regardless of the fact that the weather rarely can head off anyone from the trip, it is important to know what you can expect in a country. Knowing the weather forecast of the destination you want to go to, can primarily be a guideline for packing the necessary things and can help you organize your way in the best way possible. In this article, get acquainted with the climate and the weather in Belgrade. Belgrade is a wonderful city that is suitable for visiting throughout the year. When it comes to climate, in Belgrade and its surroundings, a moderate continental climate prevails, since this type of climate is present on the entire territory of Serbia. All four seasons are represented, and the average annual air temperature is 11.70C. Spring in Belgrade runs from March to May, and this period is wonderful for enjoying in greened Belgrade, despite the fact that sunny days often get interrupted with heavy spring rains. The summers are warm and often occur suddenly. During the most part of the summer (about 95 days) the average temperature is more than 25C. On average, there are 31 tropical days with a temperature above 30C, and the hottest month is July with an average temperature of about 22,1C. The highest temperature was measured in Belgrade on 9th of September 1946 and it was 41.8C. Autumn in Belgrade starts in September and has similar characteristics as spring. Although it is characterized by occasional precipitation, there is not much cloudiness. Another feature of autumn in Belgrade is the extended summer, or Indian summer. Indian summer occurs in October and is characterized by long, warm and sunny time intervals, which makes it appear that autumn has not even begun. Winter is not too sharp, it lasts from December to February, and the coldest month is January. During the winter, there is 21 days with a temperature below zero, and the lowest temperature measured in Belgrade was -26,2C (January 10, 1893). In Belgrade an average of about 669.8 mm of precipitation can be expected annually, and the highest percentage of precipitation occurs during May and June. Snow annually falls on average for about 27 days, and it can be kept between 30 and 44 days. The thickness of the snow cover varies between 14 and 25 cm. Relative air humidity is 69.5%. July and August are the months with the lowest percentage of air humidity (63%), while in December, air humidity goes up to 83%. The sun in Belgrade sits on average about 2.096 hours a year, with July and August being the sunniest months in which the sun shines an average of 10 hours a day. It has the lowest sunshine during December and January (an average of 2 to 2.3 hours a day). The average air pressure in Belgrade is 1.001 mb. The specificity of the moderate continental climate in Belgrade is also košava. Košava is a strong wind blowing from the southeast and east and brings, in general, dry and clear weather. Košava is mainly blowing during the late autumn and winter, and the days with košava are clear, cool and dry. Although the average speed is 25-43 km / h, it can reach speeds of up to 130 km / h. Košava blows at intervals of 2 to 3 days, and the longest period is 7 days. During the summer, usually the winds from the northwest are blowing. 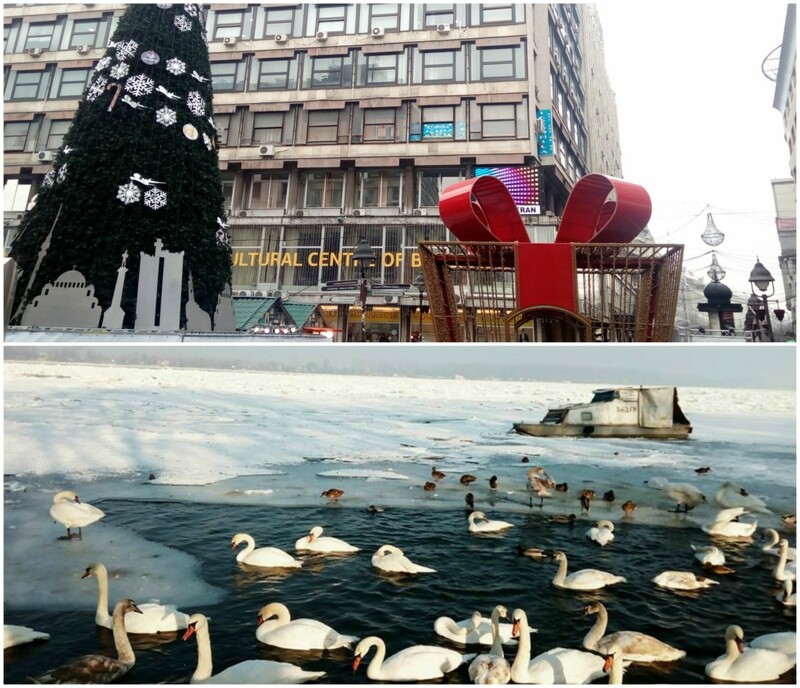 In the end, weather in Belgrade makes the city an excellent destination for the whole year round. Moderate continental climate with relatively sharp winters and warm summers will allow you to enjoy in Belgrade during any seasons. Thanks to the moderate amount of precipitation, Belgrade has plenty of sunny days that even a casual basket cannot ruin.